Here are a few steps from 9 Heads: A Guide to Drawing Fashion on how to draw the full S-curve figure. A number of books by Nancy Riegelman, including 9 Heads are available in our shop here. 2.) Decide which leg will be the weight-bearing leg-here we make it the right leg. In the S curve the hip is raised on the side of the weight-bearing leg and the waist angles down from that side. Draw in the new position of the waist angling at 25 to 35 degrees from the outside of the waistline on the raised hip side. Draw in the continuation of the center-front line at right angles from the middle of the new waistline to the position of the crotch at 4 1/2. To plot the position of the hips accurately we draw in a new guide line – S curve hip line- running from the widest part of the hip on one side to the widest part on the other side of the body, as we saw in drawing the diagrammatic S curve figure in the last section. This line is 1 1/2 heads wide-the width of the hips-and lies equally on either side of the center-front line. 3.) Draw in the line of the hips on each side by joining the edges of the new waistline to the widest points of the hips on each side, on the ends of the S curve hip line. Indicate the position of the tops of the legs. 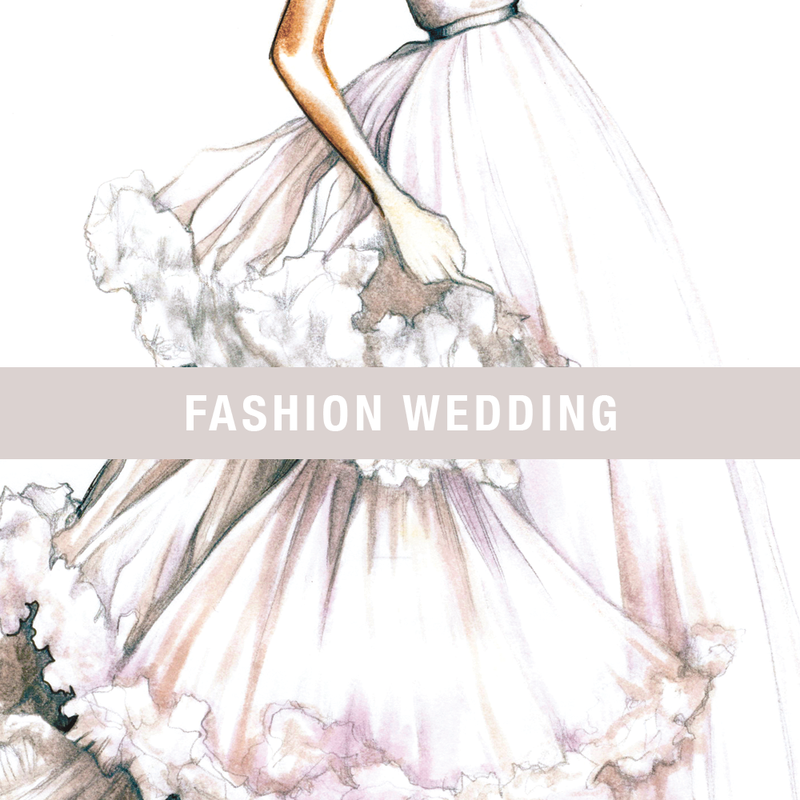 A set of 8 beautiful hand drawn and colored fashion wedding gowns and accessories. 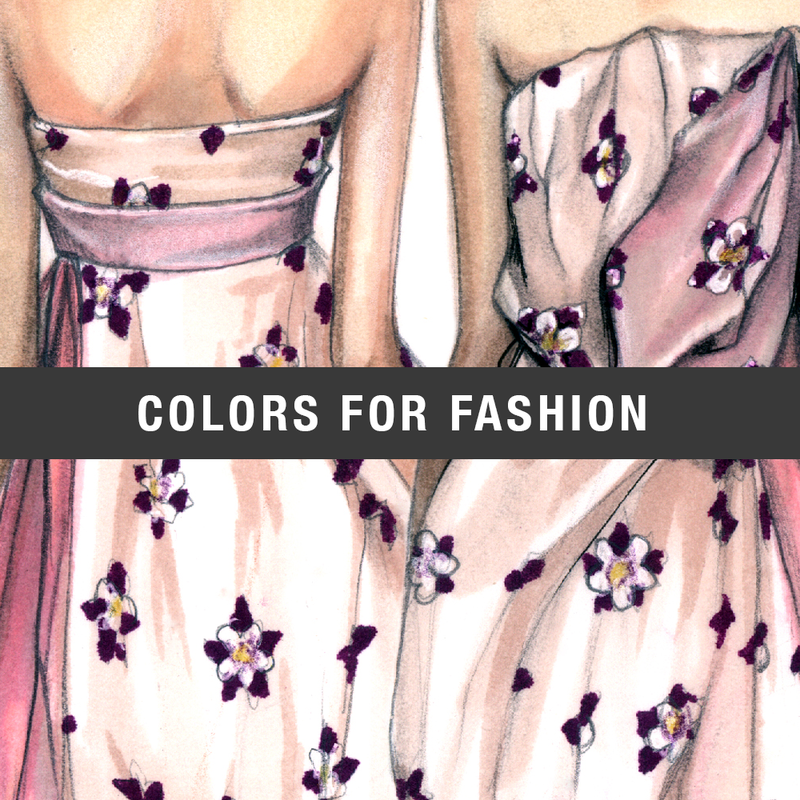 Colors for Fashion is an updated and much-revised successor to Colors for Modern Fashion by Nancy Riegelman. 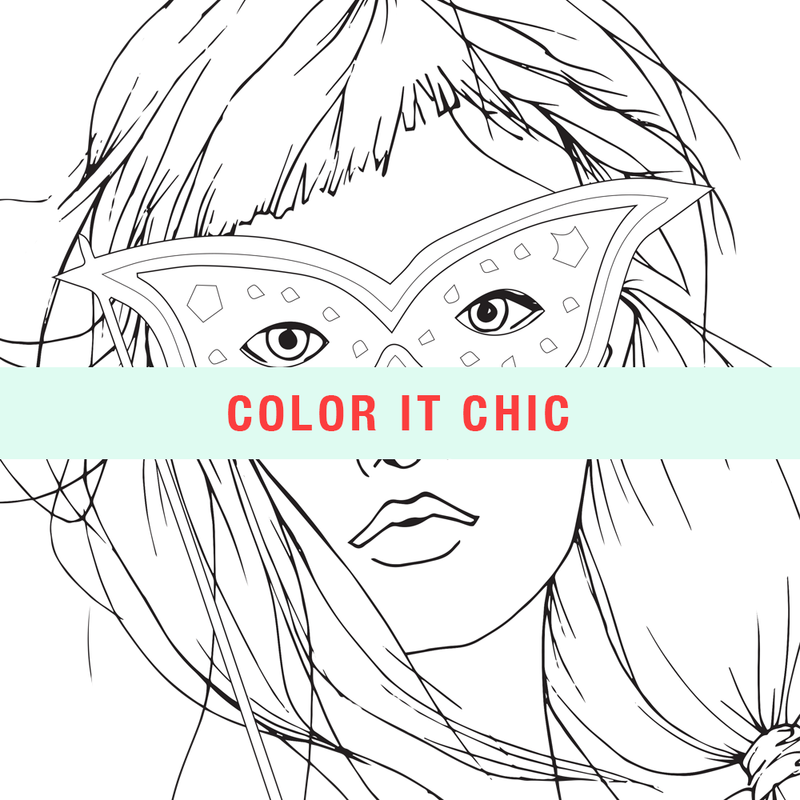 A fun coloring book for all! Featuring 144 pages of charming, whimsical fashion drawings.